We are happy to announce our new exclusive partnership. 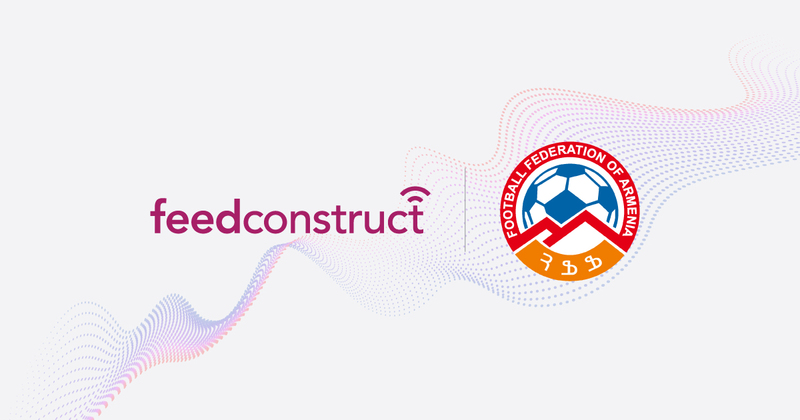 FeedConstruct has received exclusive rights for video streaming and data rights of all the professional leagues organized by Football Federation of Armenia. Football Federation of Armenia is responsible for the organization of Armenian Premier League, Armenian First League, Armenian Cup, Armenian Supercup and Armenian Professional Futsal Championship, with more than 350 matches per season in all the above-mentioned tournaments. FeedConstruct within the framework of the professional leagues organized by the Football Federation of Armenia. We believe that through FeedConstruct as a global partner we will be able to raise the level of our competition and reach even more passionate audience and football lovers all over the world.” says Mr Artur Azaryan, Head of FFA Football Department and Deputy FFA General Secretary. “I am excited to announce our partnership with the Football Federation of Armenia. We are honored to present the FFA content to the world market. This partnership is the proof of an aggressive start of this year for us. It’s another step towards the global development for both sides.” says George Arabatlian, the Head of FeedConstruct.